Since 1996, AAA Convertible & Sunroof Services has been providing the highest quality convertible and sunroof services to residents of the Orange County, CA area. We are proud to be a locally owned and operated small business, and customer satisfaction is at the heart of everything we do. If you are looking for effective, reasonably priced and reliable sunroof or convertible top repair in Los Angeles, then you need look no further than AAA Convertible & Sunroof Services. 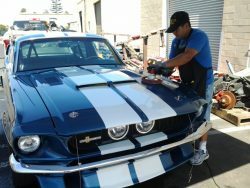 Since 1996, our locally owned and operated small business has been the leading local source for a wide range of practical services, including but not limited to the following: sunroof and convertible top repair and replacement, new sunroof installation, keyless entry system installation, power window regulators replacement, heated seat installation, car alarm installation, and much more. We know that you have a lot of choices for these services, which is why we work hard to ensure the satisfied long-term business of our valued customers. AAA Convertible & Sunroof Services is happy to work with a wide range of high-quality car brands, including Audi, BMW, Porsche, Mercedes-Benz and more. We are proud to be a Webasto Hollandia Sunroofs Certified Installer, as well as a Signature Sunroofs Certified Installer. Our business is a strong member of both the National Federation of Independent Businesses, and the Business Consumer Alliance. The next time you need sunroof repair in Los Angeles, we hope you will trust the experienced team at AAA Convertible & Sunroof Services with the job. 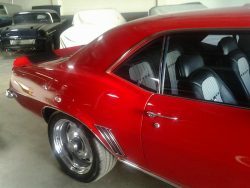 The technicians at AAACS have had over 20 years experience in automotive, convertible and sunroof service and repair. Together, the team can disassemble your convertible tops, headliners, and door panels to install or repair power lock systems, power windows, complex retractable tops and many other systems. You get best of both — clean upholstery experienced craftsmen and quality mechanics. You can have it all at AAA Convertible & Sunroof. In fact, many of our clients are local upholstery shops and luxury car mechanics; neither of which want to pull apart a perfectly upholstered leather seat to install or repair track motors, heaters, vibrators or lumbar supports. Some travel hundreds of miles to get it done right, because it just doesn’t get better than perfection. Car prices keep rising each year, and manufacturers seem to find new and more complex systems and components to add each year to justify those costs. While drive trains simply become more powerful and efficient, you interior systems have mixed the world of computers with your living room furniture and put it all on the road. We’ll also add the systems and components that perhaps were not available or affordable at the time you purchased your vehicle, and usually at a much lower cost. We are a proud locally owned and operated small business in Costa Mesa, CA. Our business has been serving the local community since 1996. We are a proud member of the NFIB and the Business Consumer Alliance. 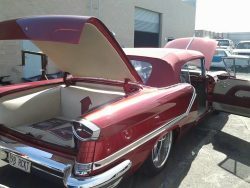 Our team specializes in sunroof and convertible top repair. We are able to work with a wide range of car brands, including Audi, Porsche, BMW, and even Ferrari and Bentley.